I made this dressing for my dad’s birthday a few days ago (you’ll be seeing a few more posts from that dinner soon). I wanted to make something with coffee since he loves it. Since this was my first time making this, I kept adding ingredients and changing quantities till I got a taste I liked- meaning I ended up with a lot of extra dressing- I’ve made a few different salads with it, and will post my favorite next: Pear Cocoa Nib Salad. The dressing has just a hint of espresso, so it actually is more versatile than you’d imagine. 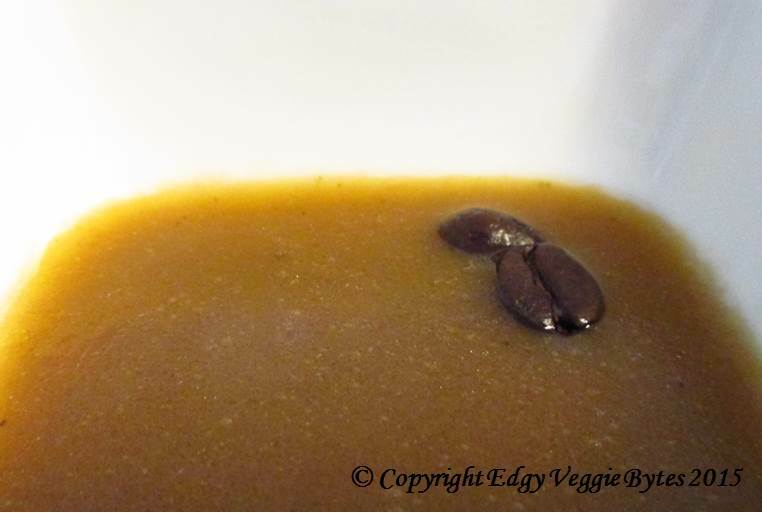 I normally use honey in dressing, but used sugar in this one because honey was interfering with the espresso taste. 1. Whisk the espresso, salt, sugar, pepper, and sherry vinegar together in a bowl. 2. Slowly whisk in the olive oil and continue whisking until it is smooth and uniform. Store in fridge until you are ready to use.